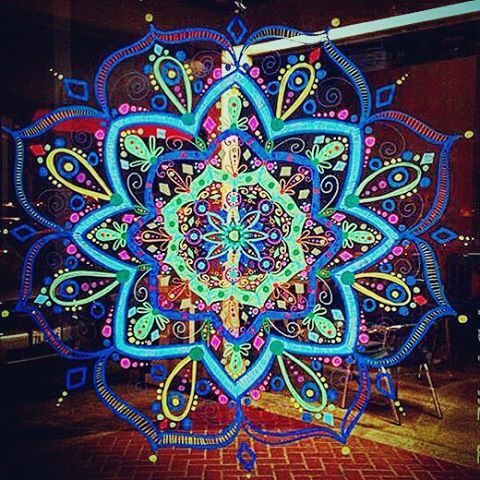 #Mandala Monday! The talented Erin Woodruff, @erinwoody143 came and painted our window! Next time you are having lunch at #lotuscafe sit outside and enjoy it! Maybe not today though….